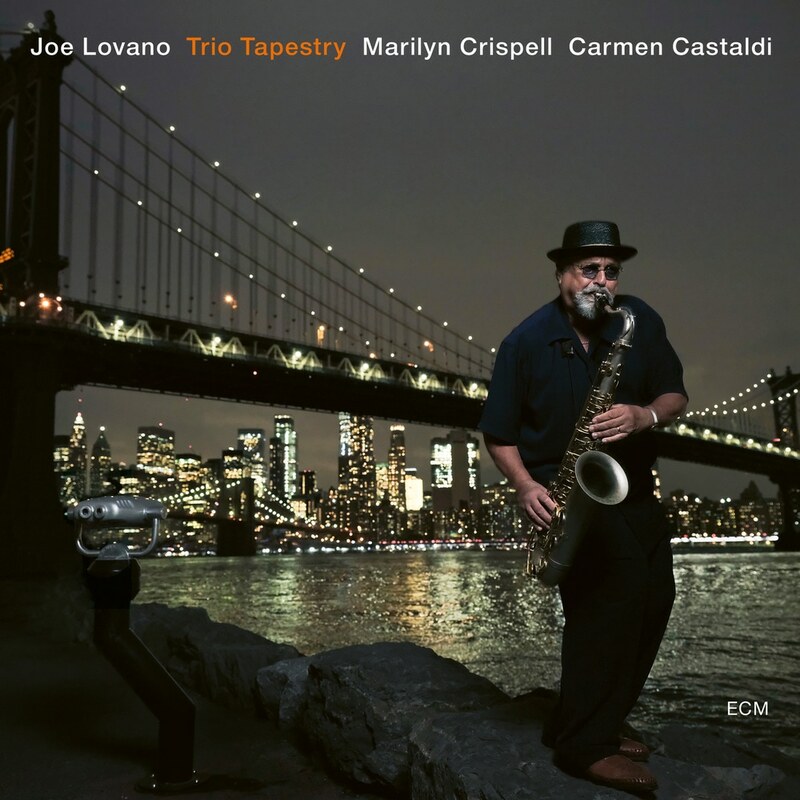 The great saxophonist Joe Lovano has appeared on a number of ECM recordings over the last four decades, including much-loved albums with Paul Motian, Steve Kuhn and John Abercrombie. Trio Tapestry is his first as a leader for the label, introducing a wonderful new group and music of flowing lyricism, delicate texture, and inspired interplay. Lovano and pianist Marilyn Crispell are in accord at an advanced level inside its structures. “Marilyn has such a beautiful sound and touch and vocabulary,” Joe enthuses. Drummer Carmen Castaldi, a Lovano associate of long-standing, also responds to the trio environment with sensitivity, subtly embellishing and detailing the pieces. Trio Tapestry was recorded at New York’s Sear Sound studio in March 2018, and produced by Manfred Eicher.